*Admission is free. Parking is $6 County of Santa Clara Parking on Phelan Street. 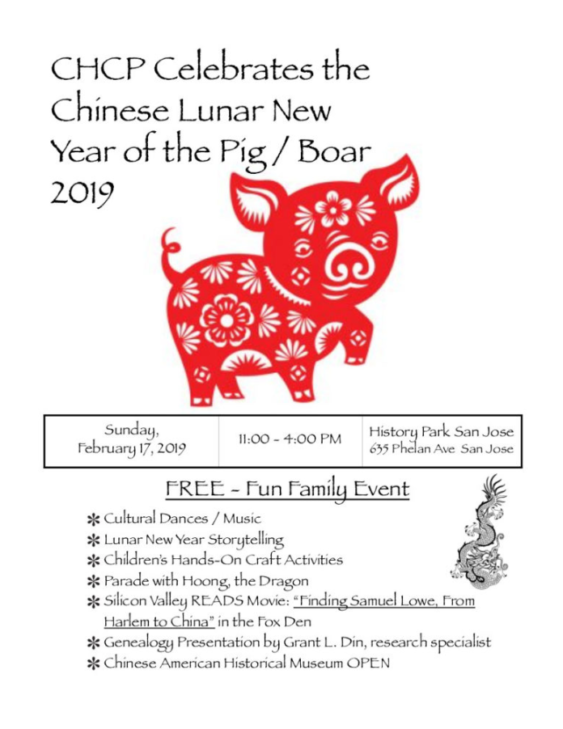 Join CHCP, the Chinese Historical and Cultural Project at History Park for the local Lunar New Year of the Pig celebration. 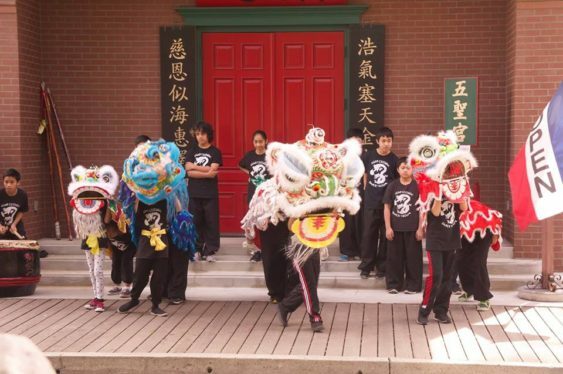 This fun, free family event features lots of arts and crafts, Lunar New Year Storytelling, cultural dance and music, and finally a parade led by Hoong the Dragon.